Today is International Women's Day. We know that the transition to becoming a mother can often shift our perspective of what that means about our identity. It is often hard to remember who you once were before you became a parent and it's equally difficult to separate yourself from that role and discover who you are now. As a woman, as a person, as an individual. For a lot of new parents the return to work postpartum comes with so many emotions. Especially in the US where our family leave is scarce and often non existent. This means a faster return to work for those who are not emotionally, mentally or even physically ready. On the other hand there are those of us who thrive at work. Who crave for our brains to be simulated and to grow and nurture our careers. Some of us are ready almost immediately to get back into that environment and reclaim the ideality of the 'who we once were" woman. But whatever the case may be, the transition will still be a challenging one given that you have just given birth and your mental and physical self need to heal and replenish. If you are a breastfeeding or pumping parent, no matter your mind set on going back to work, you still have a new challenge of producing and maintaining a supply for your child while apart. The Breastfeeding Center of Greater Washington is a wonderful resource for new parents to learn and get advice on how to best do that. They offer classes on breast pump basics and pumping strategies for retuning to work . You can learn about how to maintain your supply, how to properly store your milk, and how to continue a breast-feeding relationship with your child when you're back together. You absolutely don't have to be a breastfeeding or pumping parent to benefit from their class offerings. They also have a prenatal and postnatal rights at work class taught by lawyers in the field to help guide you in planning and executing your new work/family life role. And lastly they offer a return to work support group which is a great way to connect to other parents in your position and to express your feelings and concerns with going back to work by receiving support and advice. Being a women in and of itself comes with it's own unique sets of challenges that only grow as you become a mother. At Doulas of Capitol Hill we pride ourselves in helping women find their old identities and discover new ones as we help guide you though this change. Our postpartum doulas are always there to be a shoulder to lean and learn on. Our Lactation Consultants are available to come to your home and support you in your breastfeeding and pumping needs one on one, and our DCH Village is a 24/7 support group on Facebook that creates a safe and non judgmental space for you to ask questions and meet new people who are in the same stages of life and motherhood. 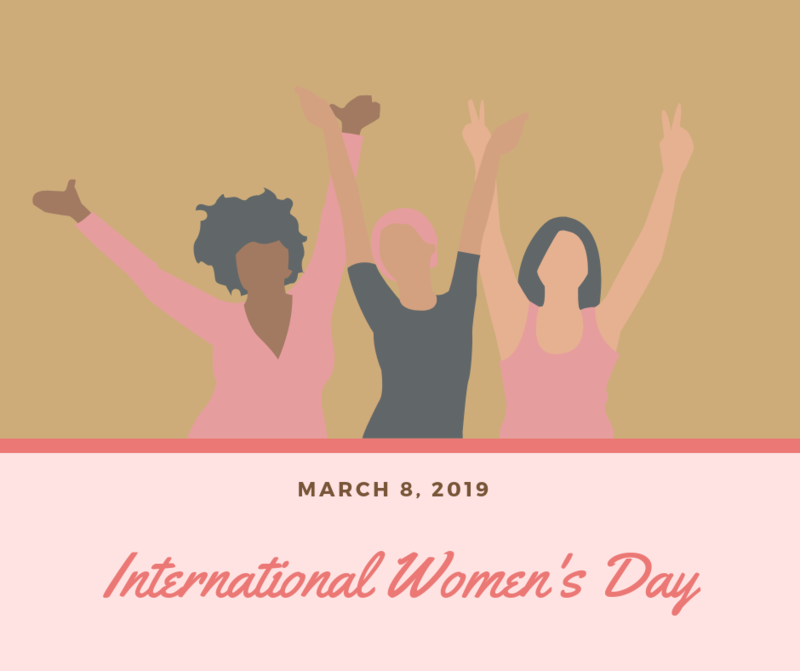 We are in the business of women supporting and empowering women and today, like all days, we celebrate you. Happy International Women's day! Ashley Woolsey is social media manager at Doulas of Capitol Hill and creator of the blog Motherhood Tabutiful. She speaks sarcasm fluently, drinks coffee through an IV, and I has a deep and possibly borderline obsessive love towards all things Harry Potter and Buffy the Vampire Slayer. Ashley is a self-described advocate for social justice and human rights and if there's a march she’ll probably be there with her sister.